I think everyone is aware now that a live action Beauty and the Beast film has been released. I’m sure because the cinema I work at is still selling out, SO many people! But did you know there was also a book? Lost in a Book might just have one of the prettiest covers I have seen! 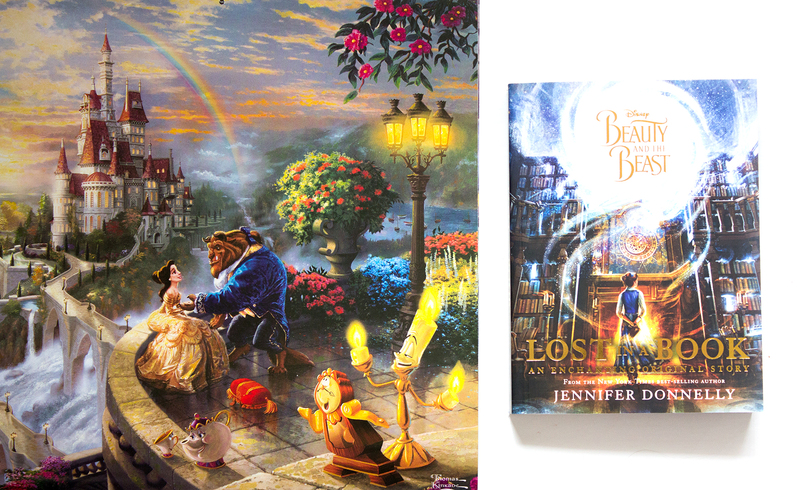 I didn’t realise it until I started reading, but Lost in a Book is actually an original story, based on the characters of Beauty and the Beast. Silly of me really, considering is says ‘An Enchanting Original Story’ on the front underneath the title… But hey, I was just too excited by how pretty it looked! This story fits in with the film (if you haven’t seen the new one – go do it!) and we see Beast offering the library to Belle. This is where the story really starts. I really enjoyed Lost in a Book because it fit perfectly to the actual Beauty and the Beast story line, but we got a little more substance on things that could have happened within the time frame. We saw more of Belle’s relationship with all the enchanted objects (especially Lumiere, Cogsworth, Mrs Potts and Chip!) and it felt true to the original story. Believable. Jennifer Donnelly hasn’t changed any of the original characters really, she has just given them more life and a bit more of a story behind them. It’s refreshing to read something that keeps everything you loved from the very first cartoon, yet adds so much more. The chapters in the book were pretty short, and so would be perfect for those younger readers who can’t sit reading for hours on end. For me, some were a little too short and seemed a little pointless, but hey, better than no chapters at all! This helps the book move on too, it is quite a fast read for someone who does spend a lot of time reading. Read anything like Lost in a Book?